What is an International Baccalaureate (IB) education? The IB Organisation have formed their educational programmes to ensure that all learning is student centred, challenging, with a strong emphasis on human values. These programmes focus on ten core values which are hoped to be seen in an IB student. Through these values, it is hoped that every child and young person undertaking an IB education will become internationally minded and understand the importance of taking care of the planet. This reflects the main aim of a Curriculum for Excellence education, which hopes to ensure children and young people gain skills fit for life in our world today, with a further purpose of becoming ‘responsible citizens’. (Scottish Government, undated). Another main goal of an IB education is to ensure that children and young people are exposed to a wide range of different beliefs, traditions and cultures so that students become more understanding and accepting of wider communities. I believe this is something that should be seen more commonly in educational programmes around the world, as understanding and appreciating others and their beliefs is incredibly important. During my first year placement I observed this in practice and it was incredible to see how interested children are in the way other people live their lives, and how accepting they are of it. I think that understanding differences is something that comes more naturally to children and young people because they have been less exposed to stereotypes, and so if taught more frequently throughout schooling it will be more likely to carry on to create a more understanding world. How do the IB aims align with the main aims of CfE? The aims of an IB education have many similarities to the main aims of CfE. IB hopes to help children gain a better understanding of the world around them and teach them what they can do to help take care of, and preserve, the planet. Mirroring this, CfE hopes to help young people to become responsible citizens and to help teach them transferrable skills which will help them throughout life, specifically for life in the 21st century. Have you experienced any aspect of the IB aims when working with children or in your own education? During my first year placement I saw a few examples of the IB aims in practice. IB hopes to ensure that learning is student centred and led. The school I attended for my placement had strong beliefs that the students should make a lot of decisions in their learning and wider school community. There was a pupil council, and the students actively made changes in the school, for example they organised a ‘cycle afternoon’ – with help from teachers – with hopes that it would encourage more members of the school to travel sustainably. It worked very well and it was amazing to see how supportive and helpful the older children were towards the younger students in the school. The class teacher also ensured that her students were up to date on current events, which is a large aim of an IB education. Every Monday she would ask the class if they had heard any news stories over the last week. They would have a class discussion and make sure that the students had the correct information and had not misinterpreted anything. What are the similarities and differences between the IB learner profile and CfE’s four capacities? Have you experienced or observed the development of any of the IB learner profile attributes in your own education or experience working with children? Personally, when I was in primary school there was not a big emphasis on worldwide views and beliefs. We also did not speak about many current topics of what was happening in the world. Most of these things I learnt more about when I moved into secondary school. I noticed such a big difference when I undertook my first year placement. As I mentioned previously, the class teacher asked frequently about any news stories the students had heard about. 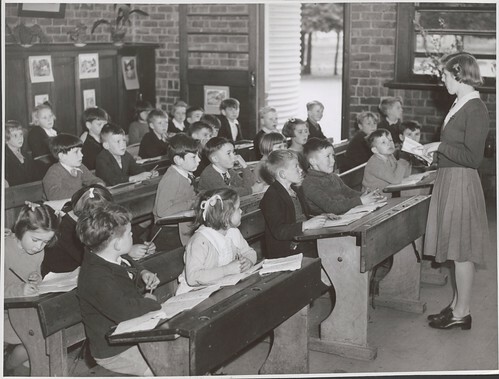 The class teacher would also further research any stories in order to ensure they understood all of the facts and had not misunderstood anything. Which of the ‘progressive trends’ in IB align with CfE? A large part of a CfE education is inter-disciplinary learning, and is one of CfE’s four contexts for learning. Students are encouraged to problem solve and fully understand their learning in depth. This is to ensure a full understanding, rather than memorisation. CfE aims to ensure every child is safe and secure in school, making sure they have a voice to share ideas for their own learning. Reflect upon the similarities and differences between PYP and CfE. It is interesting to see so many similarities between PYP and CfE. They are both rather progressive curriculums, which encourage children and young people to, not only actively engage with their learning, but to enjoy learning. This entry was posted in 2.1 Curriculum, Professional Studies, UoDEdushare on September 8, 2018 by Rachel Scarborough. Scientific literacy is the knowledge and understanding of scientific concepts and processes required for everyday experiences, for example decision making. Scientific literacy allows a person to read or hear an article or newspaper online and decide on its validity. A literate person should be able to evaluate the worth of certain scientific information based on the sources and methods used to produce the conclusion or argument appropriately. It is important for educators to give students the opportunity to develop their understanding of scientific concepts and processes and show how they relate to our society. Without scientific literacy children are more likely to buy into false scientific facts and findings. According to the Organisation for Economic Co-operation and Development, scientific literacy is, “the capacity to use scientific knowledge, to identify questions and to draw evidence-based conclusions.” (OECD, 2003) Without this there would be no evidential backing to many scientific theories and scientific knowledge. The reason that science, for many people makes sense, is because everything is backed up with evidence and research. However, there are many times in the media where scientific literature is used incorrectly, or even not at all. An article written by Ben Goldacre (2016) explains how many new drug trials and testing do not give an accurate idea of how good the drug is. This is due to a lack of testing and a small amount of people in the trials. Without this explicit scientific data, there is no way a correct conclusion can be made about the new drugs. If proper testing was carried out, there would be a higher chance new drugs would either be more effective or pulled before being released to the public to save people having undue side effects. This also gives people the wrong impression of drug trials, as the lack of concrete scientific evidence means there is no proof, however if this is missed out completely in media then nobody will think bad of it. Fair testing is taught throughout the curriculum and not as a separate topic a it involves a variety of skills. Children will use fair testing as a way to investigate questions within every science topic from plants to forces. This entry was posted in UoDEdushare on February 14, 2018 by Rachel Scarborough. I’ve always been interested in thinking about issues such as racism, patriarchy and other social problems. Challenging yourself to think about these issues can help you to create a different outlook on life, which I think is extremely important today considering they are still a huge problem – even in 2017. With this in mind, I was looking forward to learning how these issues are very relevant in education and to hopefully stretch my mind further when considering racism and patriarchy. It surprised me to learn just how ingrained racism is in many aspects of everyday life. Segregation used to oppress people of colour, primarily in America, and although it was made illegal, it does still exist. In some ways, it has just become more subtle, hiding within a cycle of poverty and a poor distribution of wealth and goods. This being said, there are improvements being made everyday which help people in this situation. I think that everyone should challenge their mindset and think further into these issues because, even if they don’t directly effect you, people speaking up and fighting for equality is the only way to change these stereotypical social constructs. Other social issues are still very relevant in today’s society, such as patriarchy. Patriarchy is the dominance of males over women, leading to the oppression and control of females. There are many issues surrounding gender inequality that remain today. With the rise of the Suffragists and Suffragettes in the mid 1900’s, many believed that the gap in gender would lessen, however it is still very much an issue. Women’s suffrage groups have moved on slightly, now coining the name ‘feminism’. This has gained a lot of opposition as many think it is about women fighting against men, when in reality it is about equality for all people, of any race, gender or ethnicity. As I already mentioned, I’ve always been interested in these subjects of thinking, so I had a lot of previous knowledge of the issues. However, it was incredibly eye opening to find out how these problems can impact a school environment. I can already find myself noticing inequalities in my everyday life and I know this will greatly benefit me in a teaching environment and will hopefully help me in becoming a more competent and inclusive teacher. This entry was posted in Digital skills, UoDEdushare on September 30, 2017 by Rachel Scarborough. This entry was posted in Uncategorized on September 28, 2017 by Rachel Scarborough. This entry was posted in 1 Prof. Values & Personal Commitment, 1.1 Social Justice, Uncategorized on February 19, 2015 by Rachel Scarborough.